I've looked at Pentax a number of times. I really like their mentality in camera body design. But - I find their lens selection not that well thought out. Example: 15m f4 limited, it's about $800, comparable to the Oly 9-18 in size (closed) and weight - as well as image quality and speed. Yes it looks nicer, but I'd rather have the 9-18 zoom. Or for the same money, you can get the Oly 12mm with equal build quality and feel, but far better performance. The Panny 20mm 1.7 will beat the normal range pancakes in price, size and performance. The 70mm 2.4 looks nice - but here again the Oly 45mm 1.8 is probably better on all fronts. 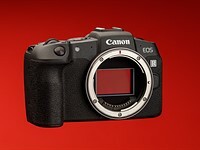 You'll loose the slightly bigger sensor advantage once the lenses are compared. If you're happy with the $2000 kit you've assembled on a wishlist, then by all means go for it (again, I always wanted either the K-7 or K-5) - but I was never satisfied with what I put together on B&H shopping list.